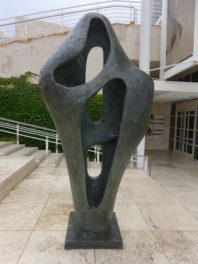 In this time of uncertainty, art can bring pleasure to the eye, nourishment to the mind, and also solace to the heart. A work that does just this is Jean-Honoré Fragonard’s Making Fritters (Les Beignets), an enchanting drawing from about 1782 that the Getty Museum recently acquired. 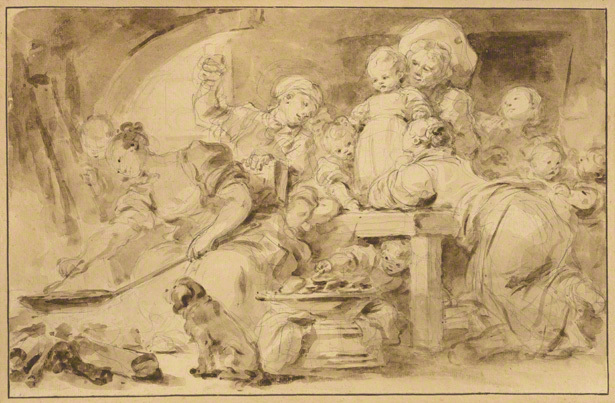 It depicts a happy scene in a rustic cottage interior, where a large family hums with pleasure and anticipation as a young mother leans over the fire, making beignets (the French equivalent of doughnuts) in a frying pan. No less than five babies struggle over, stare at, or steal the hot treats that are stacking up in a bowl in the foreground. A little spaniel patiently observes the cooking, surely with the hope that it might get its share too. Babies and beignets: A gaggle of youngsters make a grab for newly prepared fritters stacking up in a bowl in the foreground. As mom cooks fritters over the fire, a well-mannered spaniel looks on with high hopes. Making Fritters shows Jean-Honoré Fragonard (French, 1732–1806) at the height of his powers as a draftsman, with his virtuosic, inimitable drawing style that pulses with spirit and energy. 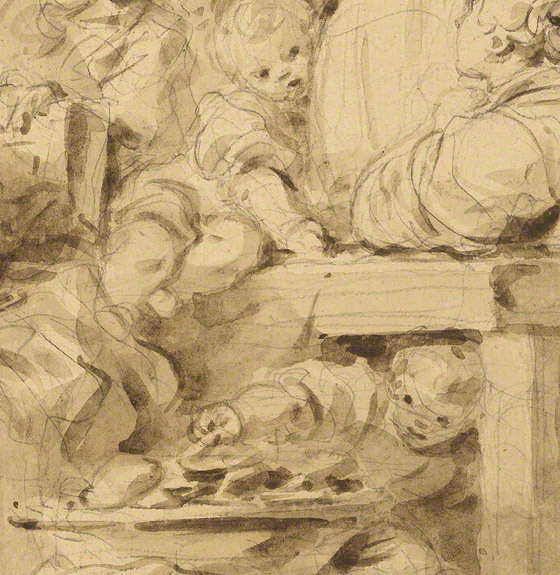 Using quick graphite lines, Fragonard first sketched his complex and animated composition. He then applied loose brown washes with a brush in subtle gradations, which are still incredibly fresh for a drawing that was made some 230 years ago. 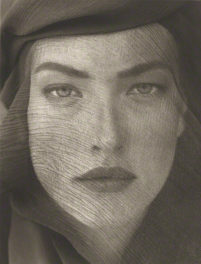 Far from being literally descriptive, the brushwork often doesn’t follow the webs of graphite lines of the underdrawing, thereby creating two interconnected and complementary layers of dynamic media. What’s more, the sheet is full of tiny flecks of white paper intentionally left blank in order to illuminate the composition with sparkling highlights. The artist’s ingenious technique is wonderfully illustrated in the eyes of his figures: he successfully conveys their emotions with mere dots of ink. In sum, Fragonard is a master of suggestion through very economical means. 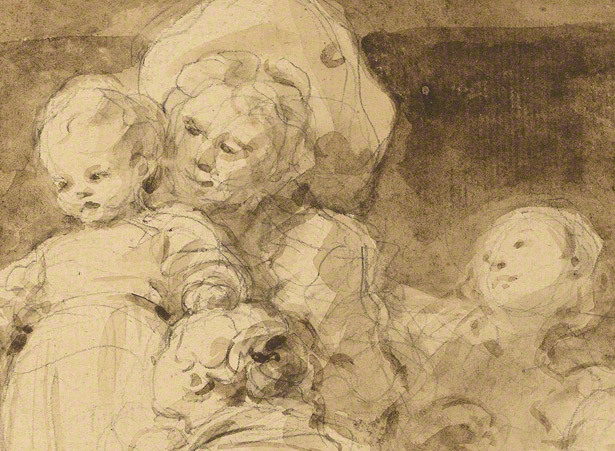 Fragonard combines complex webs of graphite lines, loose washes, and flecks of blank paper to achieve a style that pulses with spirit and energy. 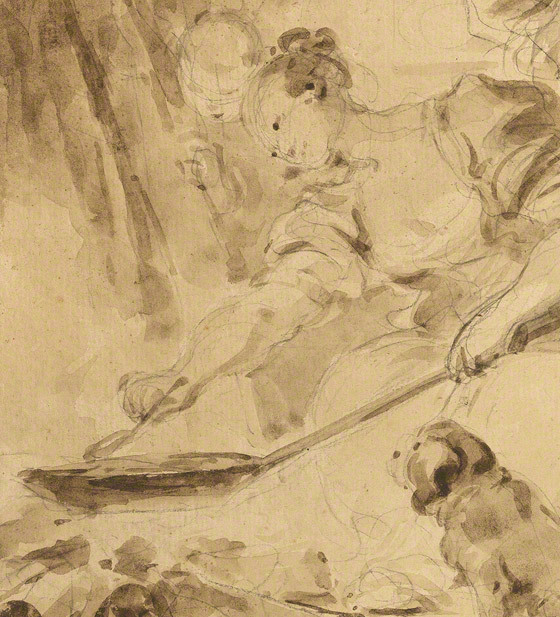 Making Fritters is an outstanding example of the kind of autonomous drawings that Fragonard made of playful, happy, and wholesome families in the late 1770s and early 1780s. His interest in childhood and families partly came from his own experience as a father, but it had philosophical and literary underpinnings too. A number of contemporary writers, most notably the philosopher Jean-Jacques Rousseau (Swiss, 1712-1778), preached that the family was the social unit on which the strength and vitality of a nation depended. Rousseau celebrated the joys of domestic life and claimed that it was the best antidote to immorality. His stance contrasted with the libertinage that we tend to associate with much of the 1800s in France. While it’s impossible to know whether Fragonard fully agreed with Rousseau’s familial ethos, at least it is clear that the draftsman found genuine inspiration in his subject! The drawing will find great company in the Getty collection, which houses other fine French 18th-century examples of happy rustic scenes, such as Gabriel de Saint-Aubin’s Country Dance and Jean-Baptiste Le Prince’s Russian Craddle. 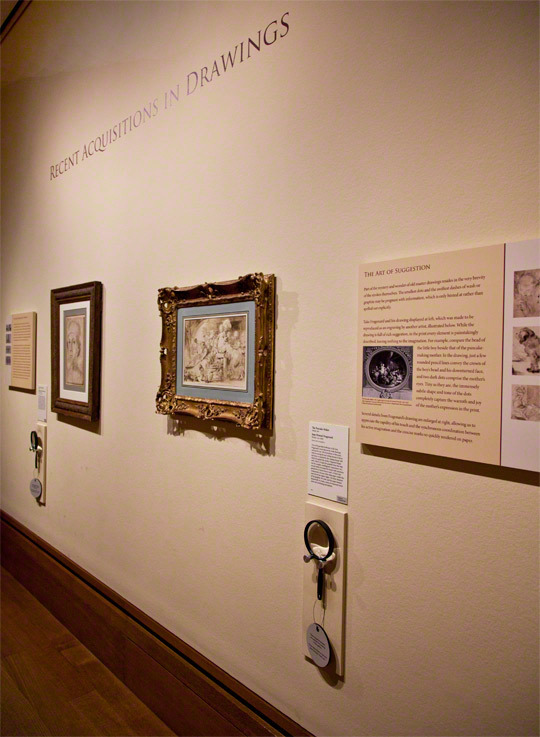 Fragonard’s Les Beignets is currently showcased in the Getty Center’s West Pavilion (Gallery 104), alongside another recently acquired drawing, Piero del Pollaiuolo’s Portrait of a Young Man. Jean-Honore Fragonard’s Making Fritters (right) hangs alongside Piero del Pollaiuolo’s Portrait of a Young Man at the Getty Center, Gallery W104. Magnifying glasses invite visitors to look closely. 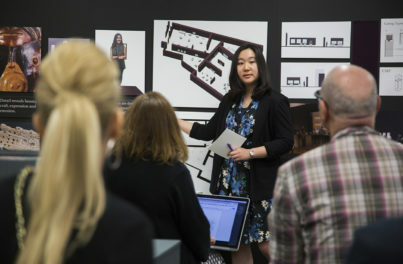 I'm the Maida and George Abrams Associate Curator of Drawings at the Harvard Art Museums, author of The Learned Draftsman: Edme Bouchardon, and co-curator of Bouchardon: Royal Artist of the Enlightenment. Until 2015 I was assistant curator in the Drawings Department at the J. Paul Getty Museum, in charge of French and later Germanic drawings. 2 years ago i purchased LES BAIGAETS print for $275 dollars. looks very nice on my wall.